Biotechnology is still a relatively new field with great potential for driving medical progress. Much of that progress is likely to result from advances in personalized medicine. This new treatment paradigm aims to ensure that patients get the therapies best suited to their specific conditions, genetic makeups, and other health characteristics. For example, a new discipline called pharmacogenomics seeks to determine how a patient's genetic profile affects his/her responses to particular medicines. The goal is to develop tests that will predict which patient genetic profiles are mostly likely to benefit from a given medicine. This model is sometimes called personalized medicine. Pharmacogenomics has already changed the way clinical trials are conducted: Genetic data is routinely collected so that researchers can determine whether different responses to a test medicine might be explained by genetic factors. The data is kept anonymous to protect patients’ privacy. Biotechnology is also revolutionizing the diagnosis of diseases caused by genetic factors. New tests can detect changes in the DNA sequence of genes associated with disease risk and can predict the likelihood that a patient will develop a disease. Early diagnosis is often the key to either preventing disease or slowing disease progress through early treatment. Gene therapy involves inserting genes into the cells of patients to replace defective genes with new, functional genes. The field is still in its experimental stages but has grown greatly since the first clinical trial in 1990. Stem cells are unspecialized cells that can mature into different types of functional cells. 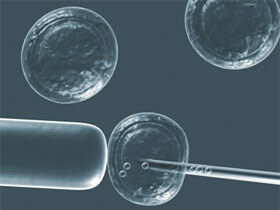 Stem cells can be grown in a lab and guided toward the desired cell type and then surgically implanted into patients. The goal is to replace diseased tissue with new, healthy tissue. Nanomedicine aims to manipulate molecules and structures on an atomic scale. One example is the experimental use of nanoshells, or metallic lenses, which convert infrared light into heat energy to destroy cancer cells. New drug delivery systems include microscopic particles called microspheres with holes just large enough to dispense drugs to their targets. Microsphere therapies are available and being investigated for the treatment of various cancers and diseases. Advances in DNA technology are the keys to pharmacogenomics and personalized medicine. These developments promise to result in more effective, individualized healthcare and advances in preventive medicine. The practice of medicine has changed dramatically over the years through pioneering advances in biotechnology research and innovation; and millions of patients worldwide continue to benefit from therapeutics developed by companies that are discovering, developing, and delivering innovative medicines to treat grievous illnesses. As companies continue to develop medicines that address significant unmet needs, future innovations in biotechnology research will bring exciting new advances to help millions more people worldwide.